I just finished putting together a book with all the photos and stories from the Vietnam trip. I had an amazing experience and every time I look at the photos, it brings back unforgettable memories. Honestly speaking, I want to go back, badly. From the bustling streets of Hanoi to the serendipity and stunning landscape of the northern mountains, I just want to spend more time in the country, and I´ll probably do it pretty soon. 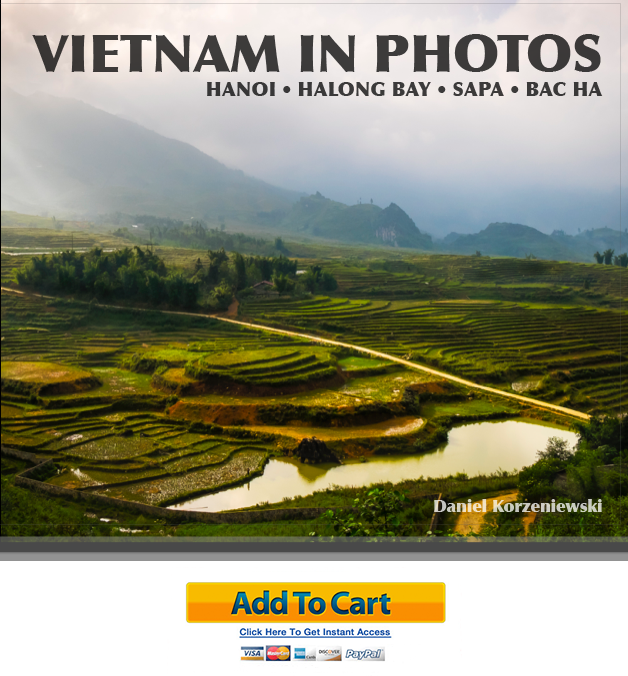 The book has over 90 beautiful photographs of Vietnam. It includes Hanoi, Halong Bay, Sapa, and Bac Ha, and I am making it available for purchase either in print or as a digital download. Below are screen captures of some of my favorite spreads. The e-book can be purchased directly from this page for just $8.99, and you’ll get an iPad version as well as a PDF version for your computer. The print version of the book can be purchased straight from my Blurb Store by clicking here. That’s all for now, more coming soon.